Care4You is so honored to have Lori Michiel NASM-CPT as our Professional in the Spotlight. Lori’s exceptional heart is filled with a passion that shows very well throughout her career as a trainer, teacher and advocate for fitness! Thank you Lori! We certainly appreciate you for all that you do for the wellness and the joy that you bring to those who seek your services. Well done! 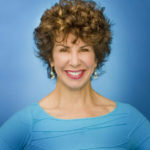 Lori Michiel, founder of Lori Michiel Fitness™, is a well-known, published professional specializing in senior fitness. Lori provides private consultations and creates personalized fitness programs for those with chronic conditions such as Parkinson’s, arthritis, diabetes, osteoporosis and other ailments to enhance safety and quality of life for seniors. Lori is trained by the National Academy of Sports Medicine (NASM), the gold standard in the fitness industry, and is certified by the Arthritis Foundation and SilverSneakers®. An active member of the International Council on Active Aging (ICAA) and IDEA Fitness Association, Lori has over 40 years of training experience. Clients seek out Lori’s services when experiencing recovery from joint replacement surgery, when they are challenged by post-rehabilitation recovery, ill health or are simply committed to aging gracefully. Her keen sense of humor and sensitive approach make her a highly sought-after trainer and coach. True love…it’s such a beautiful place to be. A safe place in your relationships that no matter what happens in your life, someone will be there to walk alongside of you in total devotion. This can come within a marriage, a family of brothers and sisters, friends or even a stranger among strangers. As a couple, Dad and Mom were like that with one another. When Mom was diagnosed with Post-Infarct Dementia, Dad stepped right up to the plate to see her through as he had done so many times through their lives together, no matter what. He was totally devoted to her, all the way to the day that she took her last breath. This was such a sweet blessing for me as I cared for Mom and for Dad, as well. To observe their devotion to one another over the years, is a memory that will stay with me every day for the rest of my life. “It was a busy morning, about 8:30 am, when an elderly gentleman in his 80’s arrived to have stitches removed from his thumb. He said he was in a hurry as he had an appointment at 9:00 am. I took his vital signs and had him take a seat, knowing it would be over an hour before someone could see him. I saw him looking at his watch and decided ,since I was not busy with another patient, I would evaluate his wound. On exam, it was well healed so I talked with on of the doctors, got the needed supplies to remove his sutures and redress his wound. While taking care of his thumb, I asked him if he had another doctors appointment this morning as he was in such a hurry. The gentleman told me no, that he needed to go to the nursing home to eat breakfast with his wife. And then there are our caregivers, men and women who spend many hours walking in the personal world of their clients, helping them to feel safe and loved, with a devotion to see them through their time of need. Dedicated, hard working, patient caregivers they are, each and every one of them. So when this video was brought to my attention this morning, I sat there watching, listening and feeling the warm tears stream down my face, my vision blurred at times, only to clear with the soft wipe of a tissue. The story goes where this dear man who worked within the residence of an elderly woman, a man who wasn’t related but whose heart was touched by this woman…this precious soul, and how he responded with a very kind heart to her. How? By walking in her world and as he did, he helped to make her days very joyful ones. Please allow me to share this beautiful video with you. Songwriters: Brett Ryan Eldridge / Truman Bradley Crisler. Thank you, gentlemen. your song is both precious and priceless! “Heart disease is the No.1 killer in the world. Stroke ranks second globally and is a leading cause of severe disability. Some form of cardiovascular disease affects more than one in every three adult Americans. The American Heart Association wants everyone to understand the threat – and to know that cardiovascular diseases and stroke are largely preventable. YouthCare is a respite and memory care program pairing trained student volunteers and older adults with Mild Cognitive Impairment or early-stage dementia in a group setting. YouthCare is designed to serve short-term respite needs (3-6 hours a week), ensuring family caregivers receive a much-needed break. Your loved one will have the opportunity to play fun games, participate in artistic activities, and have engaging conversations with a youthful partner. The cost of the program is $15 per hour. Our program is held at an easily-accessible, dementia friendly venue in downtown Los Angeles. We ensure a safe environment by providing clinical oversight for all student-older adult pairs. Drop off your loved one and enjoy a worry-free afternoon. To enroll, visit www.youthcaregiving.org or call (530) 968-8466. Care4You is very proud to have Joseph (Jay) Jones as our Professional in the Spotlight! Thank you Jay for all that you do within the San Dimas Senior Center and in the community at large! His name is Joseph L Jones III although most people know him by Jay. Reason being when you’re the 3rd most names (Joseph, Joe, etc) are already taken. He was born in Washington D.C. and raised in Maryland. He was active in his community playing various sports and as an active participant in the Boy Scouts. In 1990, he earned the rank of Eagle Scout which to this day has granted him life skills he uses everyday. He attended Hampton University in Virginia where he received a BA in psychology. 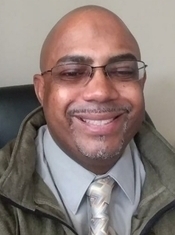 He moved to Northern California in 1994 where he attended graduate school at john F. Kennedy University in 2001 He received his MA in Sports Psychology. While attending graduate school, he worked as a Swim Club manager and as manager of fitness club that catered to older adults, his clientele’s average age was around 85yrs. His clients ranged from people just wanting to stay fit to people with Parkinson’s, hip/knee/shoulder replacement and brain stem injury. It was here where he developed his love for working with seniors. He moved to southern California in 2005 and eventually began working for the City of Moreno Valley. He started out as the Senor Recreation Leader in sports and was quickly given the opportunity to be the coordinator of the senior center. He held that position for 10 years. He remembers when he started the job, they didn’t have many visitors daily, maybe 65 per day. Most seniors were dropped by their children and they would sit and wait for 8hrs until they were picked up and they would repeat this for 5 days straight. This was sad to witness so he told his staff that they had to change the environment. His motto was never say no to any idea or suggestion for any program a senior wanted. So with that, some things failed but most things flourished. He figured out real quick that seniors should make their own decisions regarding the programming and activities they wanted. How could he possibly decide what was good or not good for them based on his perception? 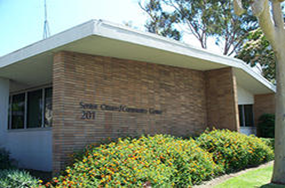 When he left Moreno Valley, the senior center was averaging 125 people daily and they were at 97% capacity for room use. He began his job in San Dimas as Recreation Supervisor in July 2016. 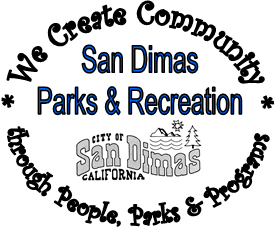 His responsibilities are supervising the Recreation Department and two facilities, the San Dimas Senior Citizen Community Center and the San Dimas Recreation Center. He has begun to infuse his thought process with the senior community there in San Dimas and so far he is very excited about the positive feedback. He looks forward to growing his partnerships within our community and providing great programming and opportunities for our senior community. “In 2004, the American Heart Association (AHA) faced a challenge. Cardiovascular disease claimed the lives of nearly 500,000 American women each year, yet women were not paying attention. In fact, many even dismissed it as an older man’s disease. To dispel the myths and raise awareness of heart disease & stroke as the number one killer of women, the American Heart Association created Go Red For Women, a passionate, emotional, social initiative designed to empower women to take charge of their heart health. 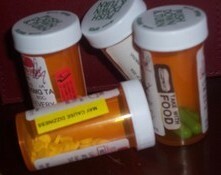 “As a senior living independently, you may be juggling multiple medications as part of your health care routine. Of course, it’s important to take your meds as prescribed by your doctor, but if you have a lot of different prescriptions to manage, it can get complicated. You can make life easier by setting up a medication schedule to help you take your medications properly and help you get the most benefit from them. Doctors will tell you that you must take medications exactly as prescribed, because taking them incorrectly can lead to problems. For example, taking multiple medications that aren’t timed properly — before or after a meal, etc., might lead to a drug interaction, or the drug might not work as well as it should. On days when you’re feeling on top of the world, you might feel like skipping a day or two of your medication. Conditions such as blood pressure and cholesterol, however, may exhibit no symptoms, and you could aggravate the condition without even knowing it. Until your doctor okays discontinuing a medication, you need to stick to your prescribed medication schedule. Yale Medical Group offers a number of tips to make it easier to manage your medication schedule and to make sure that your doctors and pharmacists know everything you’re taking and when you’re taking it. They suggest you make a list of all medications and supplements (vitamins, herbs, etc.) and give a copy to all your doctors and pharmacists. The FDA recommends that you keep a list with you at all times (in your purse or wallet). Set an alarm for medication time with your watch, phone, or kitchen timer in case you get involved in something and lose track of the time. If you find that your medication schedule is running your life or if it’s just ridiculously complicated, take the list to your doctor and ask if there’s a way to simplify it — maybe you could take your medicine twice a day instead of throughout the day. Care4You is honored to have Ferdinand Villagas as our Professional in the Spotlight. Thank you Ferdie, for everything you do for the communities in which you serve! Well done! 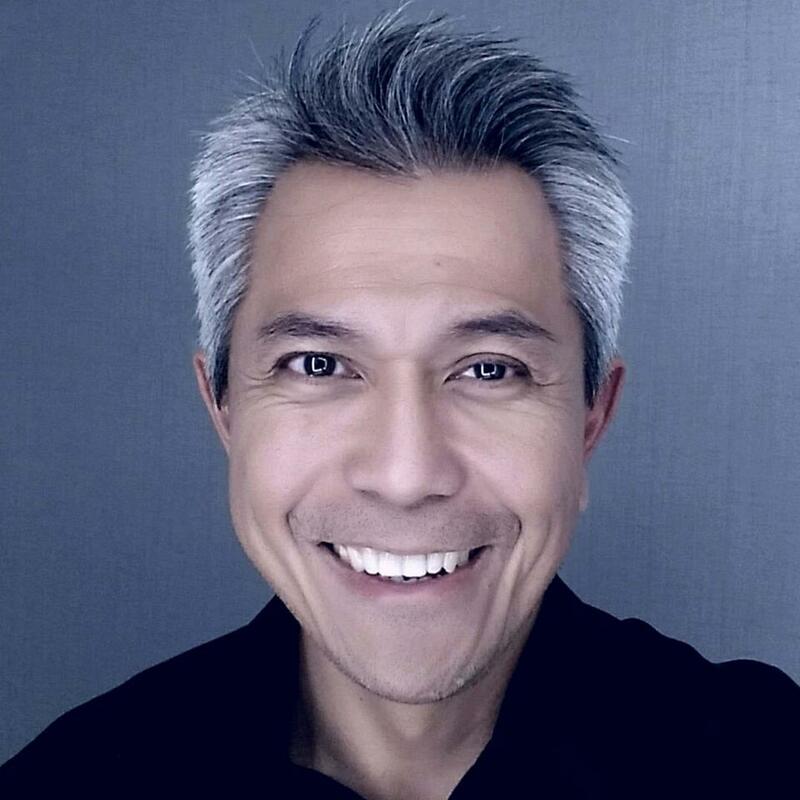 Ferdie Villegas is the territory manager with Philips Lifeline which a division of Philips Electronics that offers consumer and healthcare technology across the globe. Over the last 12 years he has worked with Philips Lifeline in providing peace of mind and reassurance to older adults helping them to live independently in their own homes. He spends most of his time on the road as his work takes him across the state of California and Hawaii working with major hospital systems throughout the coast introducing the latest technological innovation in home health care solutions. Previously he also worked as the business development manager for Country Villa Health Services one of the largest skilled nursing and rehabilitation company in California. Prior to his work with Lifeline, he spent sixteen years as the product manager with the American Red Cross developing safety and survival products for the general public. He also served as the health and safety administrator for the local Red Cross in City of Long Beach teaching people life saving techniques such as First Aid and CPR/AED. It was through the Red Cross that he became involve with Lifeline as the program manager providing the service through different channels within the organization. He is also certified as a defensive driver training instructor through the National Safety Council teaching people how operate a vehicle safely and effectively. He received his bachelor’s degree at the California Polytechnic University in Pomona. In his spare time, he enjoys running, cycling and plays competitive USTA league tennis on weekends. Care4You is very pleased to have Philips Lifeline as our Community Partner! Thank you so very much Philips Lifeline, for your dedication to our community! In 1972, gerontologist Andrew Dibner, Ph.D., came up with the idea for an emergency response system in answer to the question: “What would an elderly person do if he or she were alone and needed help?” Two years later, Dibner’s concept became a reality when he and his wife, sociologist Susan Dibner, established Lifeline Systems, Inc. Dedicated to finding solutions that support the independence of older adults, the Dibners began selling Lifeline Systems. To help even more people, in the late 1970s, they began implementing their call systems in hospitals and other healthcare centers in the U.S. and Canada. Healthcare institutions rented call buttons in a pendant or wrist band style to their patients and responded to their calls. In 1983, Lifeline went public, staying focused on evolving its technology and services. Advancements included waterproof call buttons that could be worn in the shower — one of the most likely places for a fall. They also centralized the call center to provide world-class services for everyone using Lifeline. In 2006, Philips Lifeline was born when Royal Philips Electronics acquired Lifeline, expanding Philips’ presence in the global home healthcare market. This development also allowed Lifeline to continue to grow its market-leading service through Philips’ worldwide presence, technology, and innovation capabilities. Since then, Lifeline call buttons have become lighter and more comfortable to wear, and the system’s performance and usefulness have rapidly progressed. By leveraging the latest wireless technology, HomeSafe and GoSafe systems allow seniors to call for help from any place in their homes or practically anywhere they travel. Lifeline’s AutoAlert, available with both our at-home and on-the-go services, features advanced automatic fall detection technology, adding another layer of protection. Philips Lifeline has served over 7.5 million people and is the #1 medical alert device. Our passionate commitment to the Dibners’ original quest to help seniors live safe, independent lives continues as we explore new medical alert technology, at-home health solutions and population health management, while also pushing forward important initiatives, like collaborating in the AgingWell Hub, an innovative research and development program launched in 2015. The Philips Lifeline Frail and Elderly Program (FEP) powered by CareSage is an innovative solution to managing patients safely at home. Combining trusted Lifeline technology, HomeSafe with AutoAlert, and Philips’ HealthSuite, FEP and the CareSage predictive analytics engine provide a clear view of patients in the “white space” – that critical but cloudy area upon discharge when the risk of readmission is high. Through a three-tiered approach, healthcare professionals can monitor, qualify, and assess patient risk from collected data and analysis. Implementing this comprehensive program allows you to support your patients’ needs while improving patient satisfaction, the quality of outcomes, and potentially reduce the cost of care.